Engineered with incredible night piercing power, the Metro™ 700 headlight and Hotshot™ 100 tail light combo set delivers superior lighting with exceptional brightness and clarity. 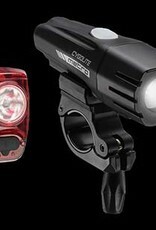 The pair fires up an intense 700 lumens forward and 100 lumens backwards to maximize your line of sight and visual coverage. 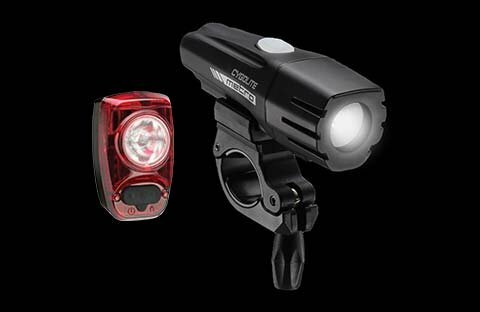 Not only limited to night, both pack DayLightning® mode to make you stand out in broad daylight, giving you the advantage any time and anywhere you ride.